There are some big players in New Zealand’s National side and some big supporters as well. And our Plus Size Vapodri + Heritage Pro Jersey caters for the big guys out there in sizes 5XL-6XL. Got your eye on Canterbury’s Vapodri + Heritage Pro Jersey, but need a larger size with more room to move? You’ll find it in 5XL-6XL in our Plus Size supporter’s range. 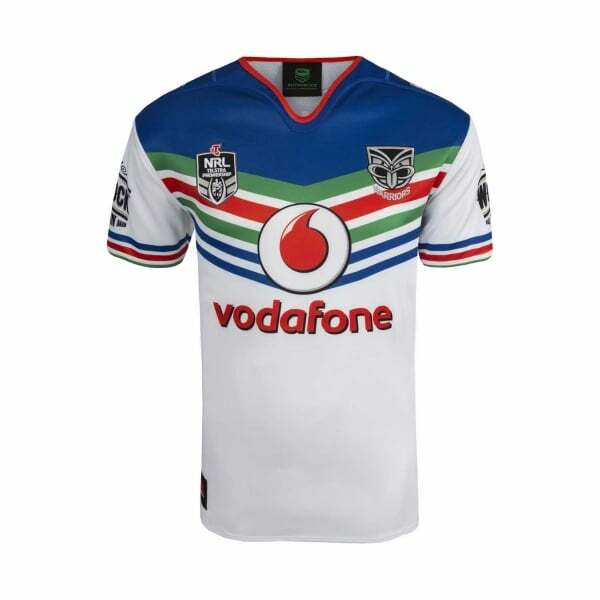 The ideal jersey for dedicated Vodafone Warriors fans, this eye-catching jersey is made from 100% Polyester pro-jersey knit for a contemporary fit and superior comfort. The built-in Vapodri + moisture-wicking fabric technology means you’ll stay cooler and drier when wearing it. With embroidered team and sponsor logos on the chest and an NRL locker tag on the hem, this jersey has all the construction and design features of the Vodafone Warriors own heritage jersey and deserves pride of place in every big man’s wardrobe.